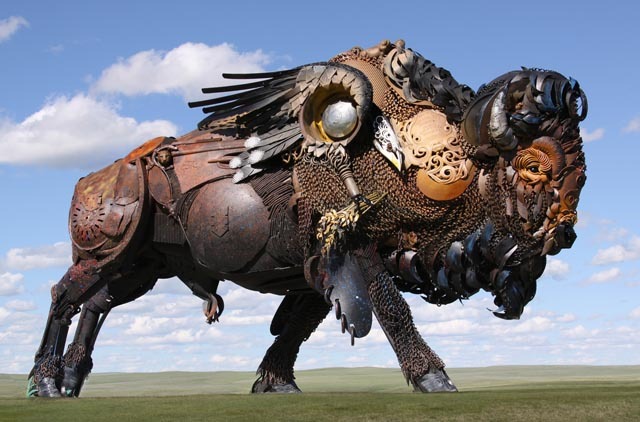 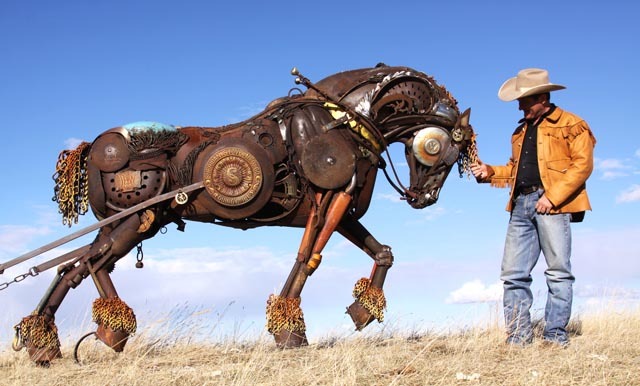 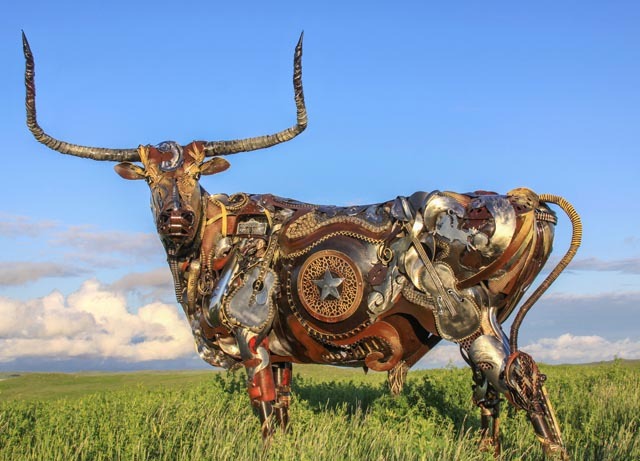 South Dakota artist John Lopez creates wonderfully lively animal sculptures out of scrap metal. 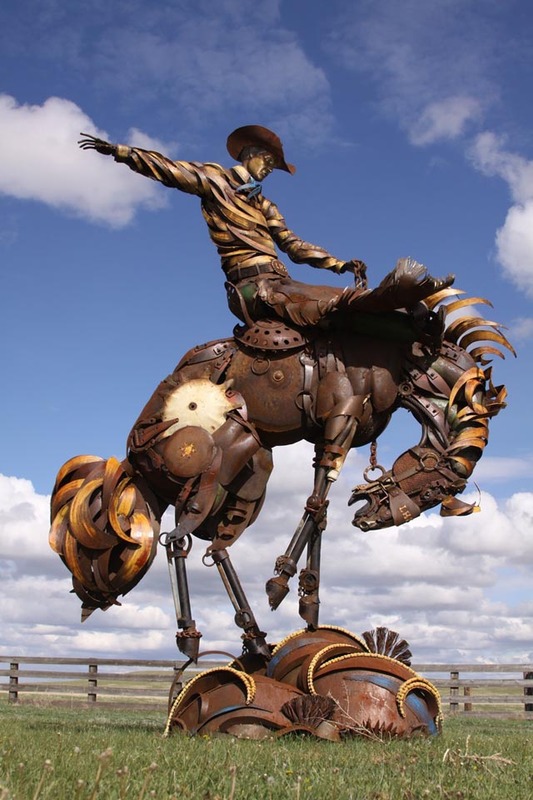 Lopez was an established bronze sculptor when, in 2006, he stumbled upon scrap metal sculpting while building a cemetery on his uncle’s ranch. 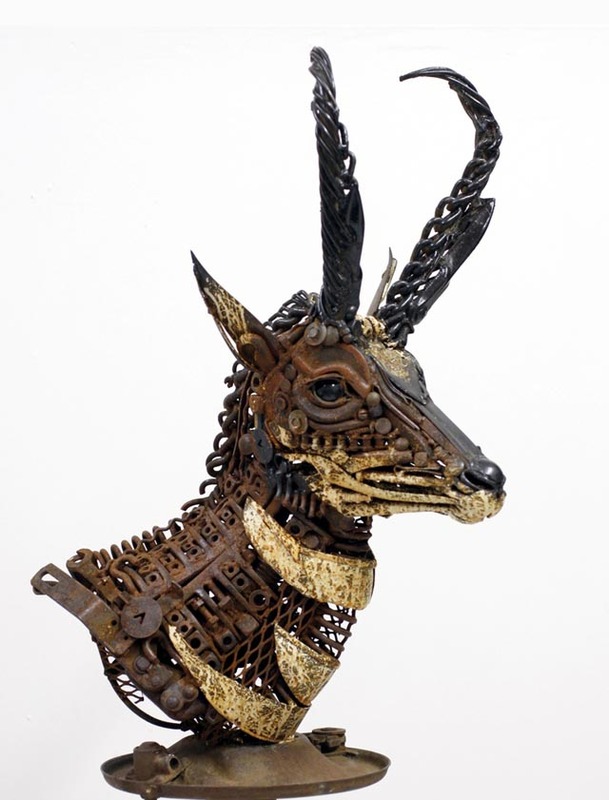 His latest work can be viewed on his blog.